The proportion of water and cement is definite, but it may be affected because of the influence of weather, temperature and environment. Expansion and contraction, or weather will make the volume lose control, which produces a certain error. However, the weighing of the weight produces a tiny error. So we make sure the proportion by weight. The gravel is indispensable in the batching of concrete in the concrete mixing plant. It is necessarily unscientific to weigh the volume of gravel. The volume of gravel changes necessarily with the change of placement of gravel. The gap between gravels has a great influence on the volume of gravels. At the moment, the weighing of weight is more accurate (neglecting the air). 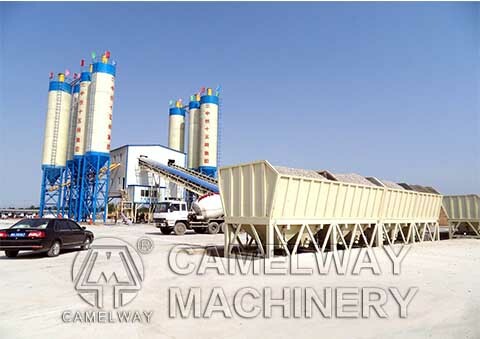 Zhengzhou CamelWay Machinery is an excellent concrete batching plant manufacturer, and the company has many types of concrete mixing plants for customers to choose. As a professional concrete batching plant producer, Zhengzhou CamelWay Machinery can provide high-quality products and professional suggestions. If you have any demand, please don’t hesitate to contact us at any time. This entry was posted in Solution and tagged concrete ba by camelway. Bookmark the permalink.